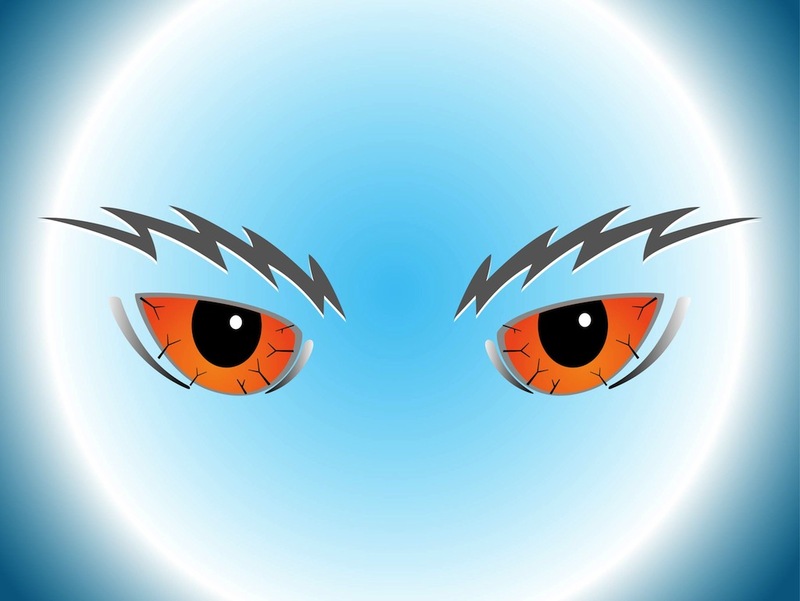 Character design vector footage of a pair of eyes. Scary eyes with many blood vessels and shadows underneath. Comic book style eyebrows shaped like lightning. Free vector graphics to create monsters, villains, evil characters, animals and mythological creatures visuals. Cartoon pair of eyes. Tags: Cartoon, Comic, Evil, Eyebrows, Face, Facial Features, Thunderbolt, Villain.